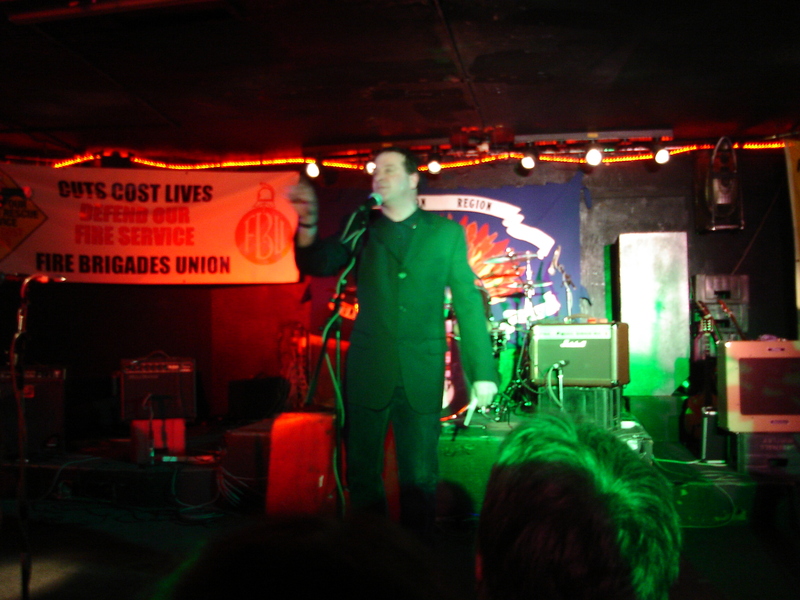 So last Wednesday was my birthday and my lovely partner took me to see the Mark Thomas gig at the Standard. The gig was to benefit the Fire Brigade Union and was sold out. The opening act was stage magician Ian Saville who made Left wing jokes out of his tricks, which was a great spin and really suited the audience. He also did a very funny ventriloquism routine with a picture of Karl Marx. Then up was Mark Thomas. He did a very animated, lively routine for about 45 minutes. The core of this was talking about research for his new book, ‘The People’s Manifesto’ where he asked audience members at gigs for policies. There were many mad ones and some genuine genius examples. He also talked about religion and his family with a joke about the cohesion and camaraderie of left wing politics getting the biggest laugh of the evening. After his set he was presented with a thank you framed picture of him at a protest, which I think was a very nice touch by the organisers. And finally there was a very political folk band. We didn’t stay for their whole set – the sound wasn’t good enough to actually hear their lyrics. Although they seemed to have dedicated fans in the audience. Overall it was a great gig and it’s nice to see the Standard do other things apart from tribute bands!